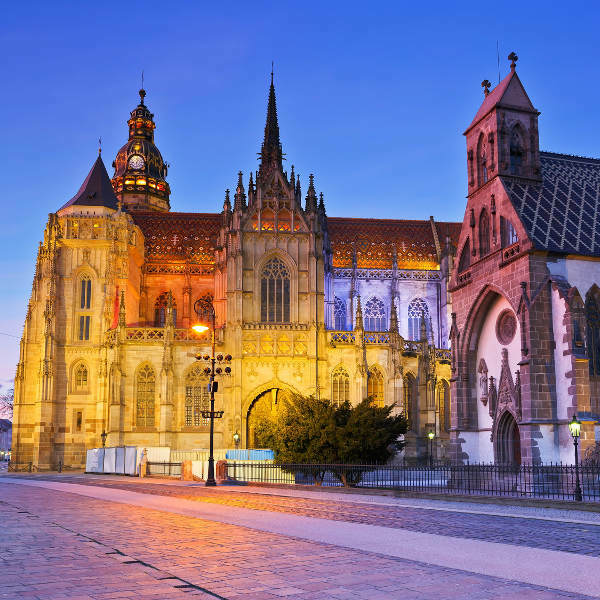 Košice is a city in eastern Slovakia with rich ancient origins, a lively arts scene and vibrant nightlife. This multi-cultural city is the economic and cultural centre of Eastern Europe and is home to well over 200,000 people. Its most historical, renowned monuments are two magnificent Gothic churches, the St. Elisabeth Cathedral and the 14th-century St. Michael Chapel. Cheap flights to Košice are now available for a limited time period, so get ready to explore this charming city of peace! Košice is home to Košice International Airport (KSC) which is the second largest international airport in Slovakia. KSC is just a 15-minute drive from the city centre. 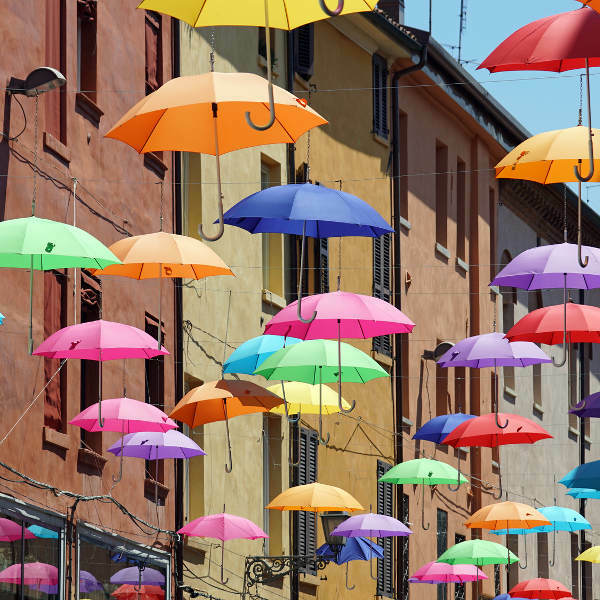 Explore this colourful, creative city on foot while admiring street art displays or touring theatres and galleries that showcase its culture, such as the famous Neo-Baroque styled state theatre. Discover historical details about what makes Košice the unique city it is at the 14th century St. Urban Tower and Wax Museum or visit the intriguing Miklus Prison Museum. Košice is filled with incredible architecture and monuments - stroll through the corridors of the gothic architecture of the St. Elisabeth Cathedral or the St. Michael Chapel. Košice experiences humid summers between July and August and cold winters from December until February. Late April and May are considered the best times to visit the city as it blooms into spring. Although damp weather may occur, this is the perfect time to go on guided city tours through Old Town, explore the gorgeous ancient architecture, stroll through the majestic St. Elizabeth’s Cathedral or adventure on a hot-air balloon flight over the city. With its wealth of ancient architecture, prominent arts scene and vibrant nightlife, Košice has a lot to discover and experience in its compact, yet beautiful city realms. Take a walk through historical, renowned monuments that include the magnificent St. Elisabeth Cathedral, the 14th century St. Michael Chapel and the Neo-Baroque styled State Theatre. 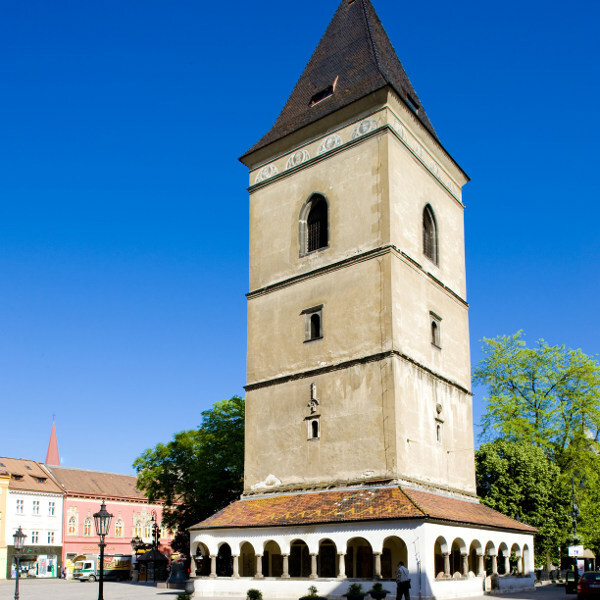 Explore St. Urban Tower which was erected in the 14th century and now serves as a wax museum where figurines portray important historical people. Delve further into Košice’s history at the darkly intriguing Miklus Prison museum, a former jail and torture chamber. On a lighter note, locals take pride in the performing arts industry especially after the city was voted the “European capital of culture” in 2013. Košice has a multitude of theatres and art galleries, such as the East Slovak Gallery that exhibits 20th century modern art. Day hikes through the trails in the magnificent surrounding hills, ski trips during the winter and shopping sprees at chic boutiques in the Hlavné main city square balance the city out into a perfect holiday destination for all. Compare several airlines and book your cheap flights to Košice online at Travelstart! Make sure your routine vaccines that include the MMR vaccine, DPT, Chickenpox, Polio and yearly flu shots are updated before travel. You are advised to get vaccinated for Hepatitis A as it can be contracted through contaminated food or water throughout Slovakia. Practice normal safety precautions such as keeping an eye out for petty crime like bag-snatching or pick-pocketing and keep your valuables and important documentation safe. You should avoid suspicious areas like parks and the train station surroundings at night and try to travel in groups as often as possible.